New in this version of the FB Purity browser extension (for Chrome, Firefox, Safari and Opera)is a Single Column layout for Timeline option. As well as forcing Timeline pages to a single column, it also shortens the Cover image, and hides the horizontal “Friends”, “About”, and “Interests” Sections so it takes up less vertical space. If you wish to see the full size Cover image, you can just click the “TL” button again, or else click on the short version of the Cover image, and the full version will pop up. 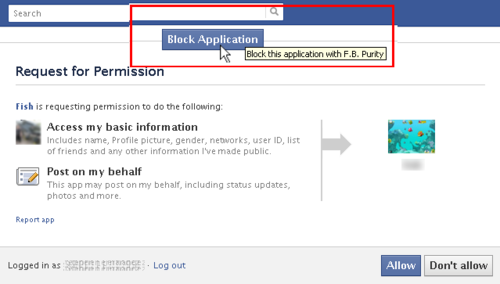 Also new is the ability to block Facebook applications at both the application’s Request Permissions page, where FB Purity will insert a “Block Application” button on the page, and the application pages themselves, where a “Block Application” link will be inserted at the bottom left hand corner of each Facebook application page. You have to wonder why Facebook do not make blocking these applications easier. You also have to wonder why Facebook are censoring all links to the FBPurity.com website. As you may have noticed Facebook are still blocking links to the FBPurity.com website, and libelling me by claiming my site is “spammy and unsafe”, thats hilarious coming from Facebook, the kings of spam (farmville anyone?) and all those dodgy “Check out whos viewing your profile” viral apps that keep spreading around. Instead of linking to the fbpurity.com website, please link to this article instead, thanks. 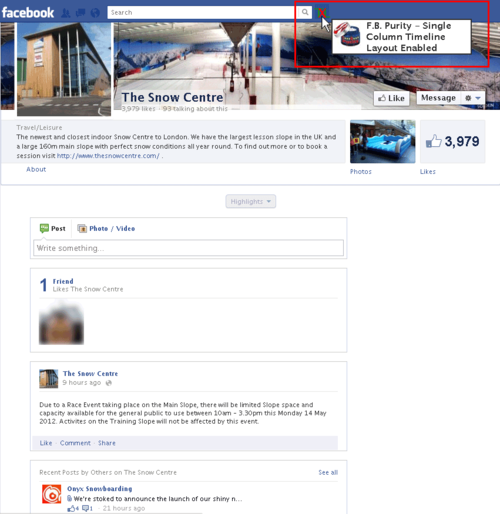 Image shows example Timeline Page in normal Facebook 2 column Layout, and also shows FB Puritys new “TL” button, next to the search box. Image shows example Timeline Page after clicking FB Purity’s “TL” button, which enables FB Puritys Single Column Timeline layout. Once the green TL button is clicked, a red cross is displayed over it to show that single column layout is enabled. 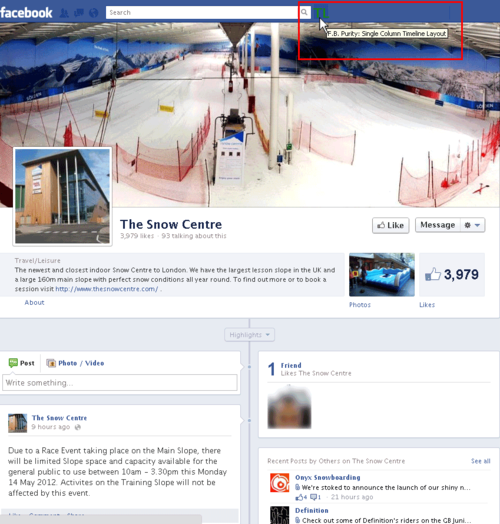 Clicking the button again re-enables the Facebook dual column layout. FB Purity inserts “Block Application” buttons in all Facebook Application permission request pages, so you can now block applications, that you dont wish to interact with, very easily. It also highlights any apps that request access to your email address by displaying the Request with a pink background, to make the request stand out more, as its often easy to whizz through these screens without reading them, but hopefully this will trigger the user to pay a bit more attention. Another image demonstrating F.B. 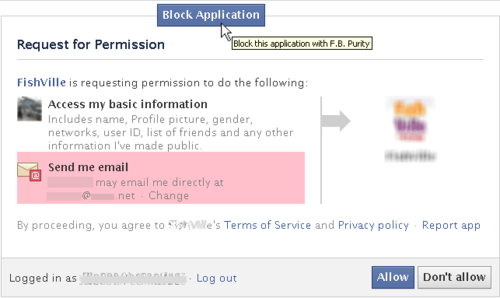 Purity adding a “Block Application” button to a Facebook Application’s permissions request page, which Facebook should provide, but doesnt. FB Purity also adds a “Block Application” link to all Facebook Application pages, which Facebook has failed to provide for some strange reason. This makes it easier to block applications that you have no desire to interact with.